Great opportunity for 9 (nine) lots, most all facing and adjacent new Meadow Waye city park. 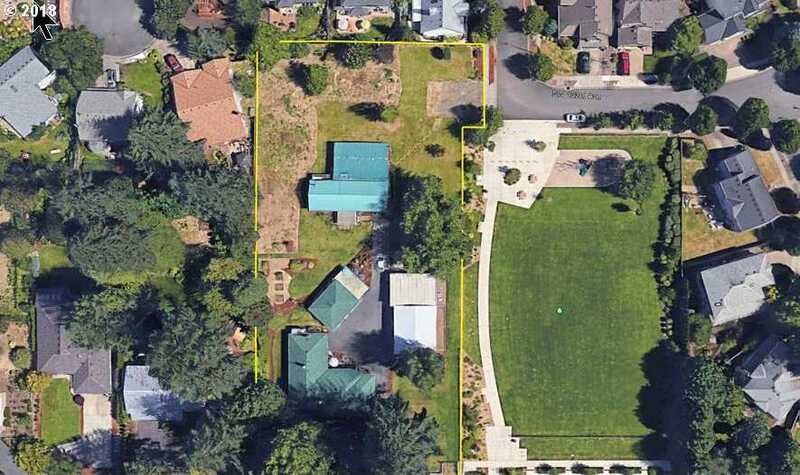 Value is in the land with 9 lots according to pre-app with City of Beaverton with 7-8 extra deep lots facing the park. House also works as a single family home with down the road value, with huge storage sheds, RV parking, even an irrigation well. Pre-app notes available upon request. DO NOT DISTURB RESIDENT. Please, send me more information on this property: MLS# 19477861 – $1,200,000 – 13275 Sw Davies Rd, Beaverton, OR 97008. I would like to schedule a private showing for this property: MLS# 19477861 – $1,200,000 – 13275 Sw Davies Rd, Beaverton, OR 97008.